Did negligent security contribute to this fatal triple shooting? Read Our Legal Take to find out if the victims and their families may have a claim for compensation. A University City apartment shooting reportedly claimed the life of a 20-year-old young man and left three others injured Saturday morning, June 11, 2016. 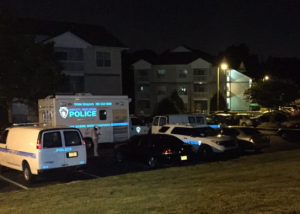 According to WBTV News, “the shooting happened just before 3:00 a.m. at the 901 Place Apartments, near the campus of UNC Charlotte.” Gunfire apparently erupted “after a fight broke out during a large gathering at the apartment,” The Charlotte Observer reports. What security measures, such as gated entry, bright lighting, security patrols, and surveillance cameras, were in place to protect residents at the time of the shooting? Was the complex aware of the large gathering on property? If so, were any additional security precautions, such as guest screenings, implemented by the property owner or management to deter crime? Generally, property owners are required to protect all residents and guests legally on the premises from any foreseeable harm. Should the facts of this matter reveal that the apartment complex owner or management company failed to provide adequate security to protect those on its premises, the family of the young man who lost his life in this tragic incident may seek justice and elect to pursue a legal claim for his wrongful death. Additionally, the other victims of this shooting may elect to pursue claims for their injuries.